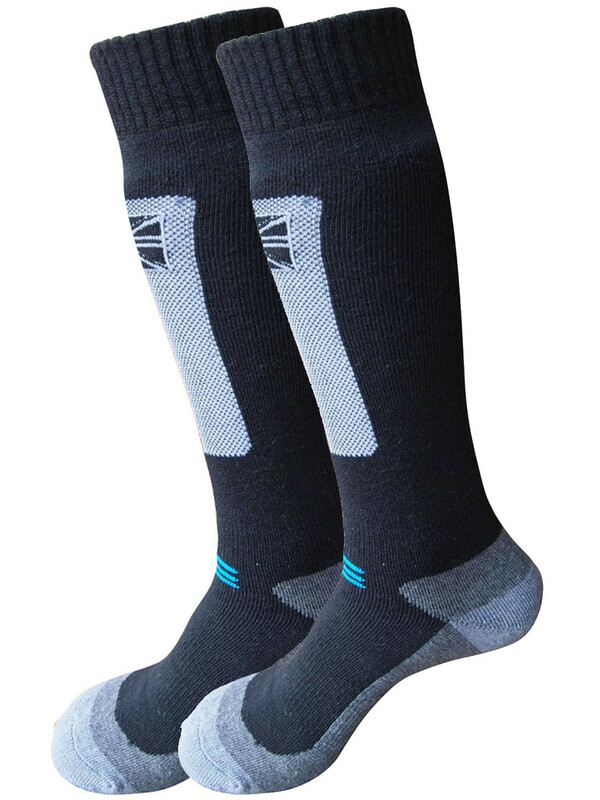 These luxury Surfanic Ski Socks have been designed with the best in critically placed technologies and are made from a premium blend of Merino wool and synthetic fibres to give the perfect combination of performance and long lasting comfort. Features include padded construction, and no rub toe seams. The ergonomic shaped heel and elasticated mid foot band give a snug fit that will avoid pressure points.